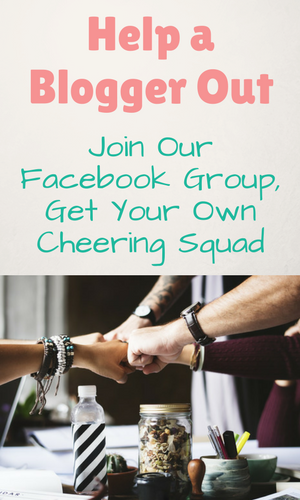 Hot topic question: How do bloggers make money online??? I’ve been writing about the basics of blogging since I started this blog. 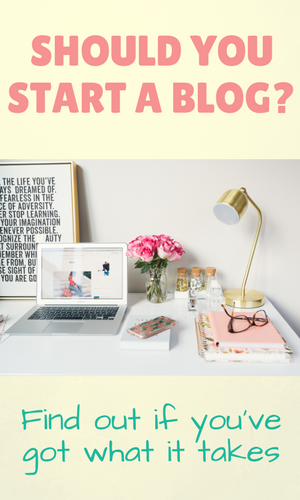 I started with the reasons to start a blog, the reasons you shouldn’t, I broke down how to get a blog up and running and I even went into how to market your posts after you’ve launched your blog with Facebook, Pinterest and email. 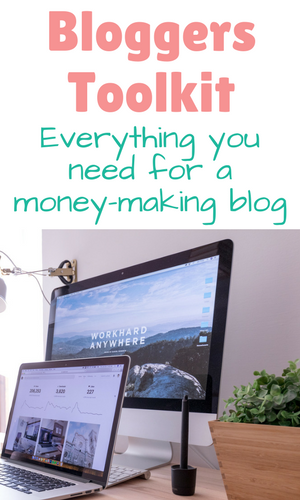 I felt this was important to do so that bloggers have the basics down pat but the question that’s on every blogger’s mind is, how the heck does one make money from a blog?! This seems like a good junction for me to tackle this question with the 4 main ways a blogger makes money. How Much Does Traffic and Followers Matter? The first thing I want to note here is that you can totally get into blogging solely for the purpose of making money. Don’t listen to anybody telling you to blog for passion or blog for the love of it and the money will come. Blogging is absolutely a profitable business idea that you can get into and make a substantial income from. Bloggers get paid. However, many many many bloggers that get into it for money fail. This is because of one reason, and one reason only. They didn’t approach their blogging business as such. A business. This isn’t to say that your blog will be pushy and salesy because I’ve definitely seen some bloggers write posts that come across as nothing but sales pitch after sales pitch, shoving affiliate links down my throat under the guise of helping me make money. There’s a whole art to making money from blogging and the top bloggers have figured out how to do this. The bloggers in the middle tier will figure it out too because they’re excited about the prospects. They will research, pay attention to their data and keep going. New bloggers either get burnt out and frustrated when they realise that blogging is just like any other business that takes time and effort, or they make it work. That is where the passion part comes in. Blogging does take loads of time and effort. Nobody makes it BIG in their first few months of blogging. 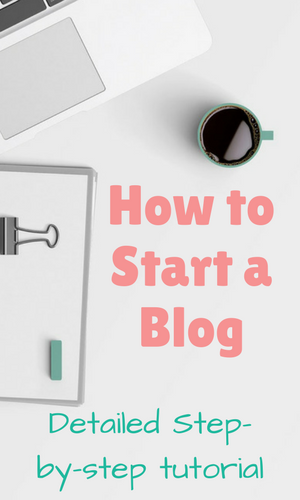 In fact, many bloggers don’t make it big in their first year. But those who apply this passion word that gets thrown around a lot tend to be the ones who make it. The passion lies in the love of blogging (or the love of money that keeps them pushing). I love to blog and will do it even without the money. Therein lies my passion. If you’re in it solely for money without understanding what it takes to run a blogging business, then eventually it will begin to feel like work and you’ll get burnt out really quickly just like any other job. 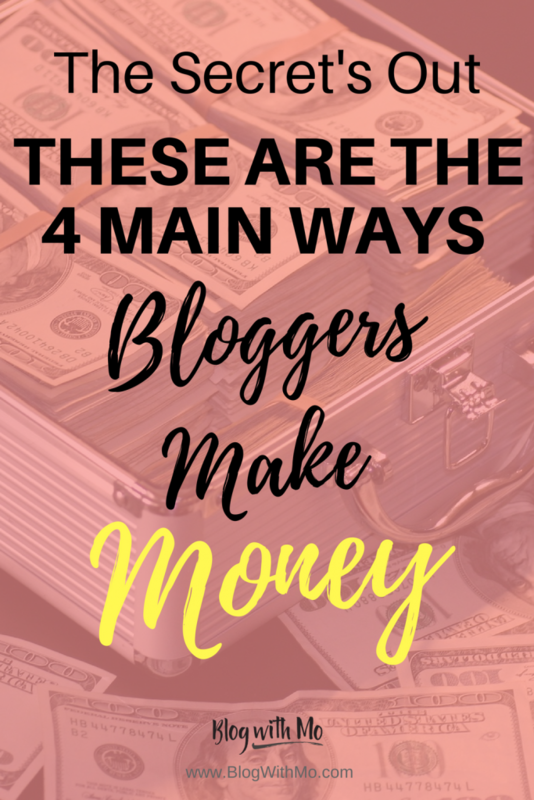 Let’s get into the four main ways that bloggers make money. Actually, before I get into the four ways, let’s talk page views. Everybody wants to know what’s that perfect number of social media followers they need to have in order to monetise their social media platforms. Same for blogging, what’s the magic number of page views? You know the answer to this already. There’s no magic number. Engagement is where it’s at. It’s important to find your tribe, your audience, your die-hard fans that love you, listen to you and trust you. Different monetisation networks will have their minimums for you to reach before they allow you in, but they care more about how much your audience engages with your content. They want to know if you have a low bounce-rate, lots of comments and can influence people to click on your links and actually buy whatever it is you’re promoting. Having huge numbers does not automatically convert and ad networks know this. They’re not fooled by the influencer with 50,000 followers if they’re only able to get 3 comments at best. Strive to get to know your audience intimately and connect with them. Find the places that they hang out and engage with them there. Provide solutions to problems they’re facing and get them on your email list. That’s where the big money is. One thing I can recommend is the Traffic Transformation course by Lena at What Mommy Does. If it’s one thing I’m into its investing in my craft and I thought it would be a good idea to see what the methods are that a blogger who has over 400,000 pageviews per month recommends. 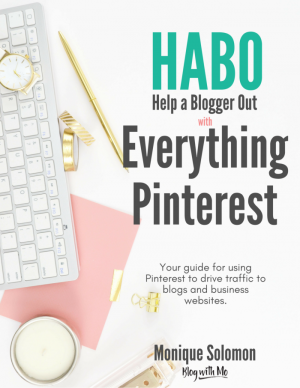 You can also grab her free blog traffic guide here if you want some quick tips. I also wrote 21 ways that you can drive more traffic to your blog here. Now, let’s get into the monetisation methods. Way number one is sponsored posts or some sort of brand partnership. This works in several ways. You can either (a) apply to blogging/influencer networks that act as the agency for several different brands, (b) connect directly with the company by pitching them yourselves or (c) sometimes the company will take note of you and approach you. As a Jamaican this has been very tricky for me. Brands in the US are generally wanting to work with blogs and influencers who are also based in the US. I’ve been able to still connect with a few international brands since over half of my audience is from the US however for the most part you will want to connect with local brands for this option. I have taken this route successfully, reaching out to local brands here who would be willing to pay me to create content for them. Brands always want content that they can reshare on their own social media channels, the wider and more diverse the audience, the better. Content coming from someone else can have a whole different impact than them constantly sharing their own story. This kind of partnership also lends itself to repeat business, leading to a brand ambassador type of relationship where you create content for them for a long-term period and are paid a monthly/yearly contract. Don’t be afraid to reach out to brands that are within your niche that could benefit from you creating content for them. I like this method more because it means I get to charge what I want instead of the brand network determining a fee. If you can show that you have considerable influence then the formula that’s widespread for what you charge is somewhere around $100/10000 followers or pageviews. Therefore if you have 50,000 followers or consistently bag 50,000 pageviews per month on your blog, you can feel comfortable charging a brand $500 per post. What you charge is your call but don’t undersell yourself. How do you show that you have considerable influence? That brings me to way number 2. Affiliate marketing happens when you recommend a product and link to it from your blog using a unique code given to you by the product’s company to market said product. Did you catch that? I wrote extensively about affiliate marketing here to get you started. It’s one of the ways bloggers can begin earning income online quickly without massive amounts of traffic, though traffic certainly helps. For instance, Amazon has an affiliate program called Amazon Associates. By becoming an associate for Amazon, you’re allowed to place a link to almost any product from Amazon on your blog. This is a link that has been generated for you by Amazon and has your special code within the link that is unique to you. This is how they will track the fact that this product was sold through a link on your blog. When someone clicks on the unique link that you have placed on your blog and subsequently makes a purchase on Amazon, you will get a commission on the sale. The sales have to be within a certain time period. You’ll see this being referred to as the cookie length. Cookies are unique codes your browsers hold to track your activity and they expire within a certain time. For Amazon, the cookie length is only 24 hours which means when someone clicks on your link, they have to make a purchase within 24 hours in order for you to get a commission. This is one of the reasons that Amazon is not one of the most preferred methods of monetization for me because many people will add something to their cart with the intention of purchasing later and you would have lost out on that sale. Thankfully, other affiliate programs are much more generous with their cookie length. Amazon also has a sucky commission payout of only 4%. You’re better off focusing your efforts elsewhere. The best way to find out if a product or company has an affiliate program is to simply search product + affiliate. So if you’re a travel blogger who’s blogging about going hiking and you want to recommend your favourite brand of hiking gear to your readers, search for the brand name plus the word affiliate to see if they come up. I recommend doing this even if you find the product on Amazon as the brand you’re after may also be a part of another affiliate network or have their own affiliate program with a more generous commission and cookie length. If you want to tackle affiliate marketing as one of the ways you monetise your blog, I recommend taking Michelle Schroeder-Gardner’s course in affiliate marketing. 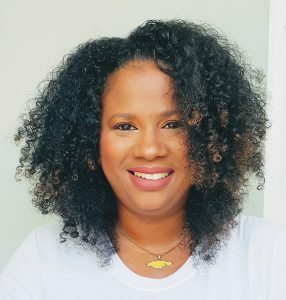 She consistently makes over $50,000 a month through affiliate marketing on her blog Making Sense of Cents and teaches her methods in this course. I have taken it and definitely recommend it to you if you’re wanting to get into affiliate marketing as a primary source of income on your blog. Placing ads on your blog is the third way bloggers make major money. Again, this is broken down into ad networks or placing individual ads on your blog manually. New bloggers usually begin with Google Adsense because they will accept you into their ad network with low traffic and as a newbie. This is however because their payout is excruciatingly low which means you would need to have page views in the millions per month to actually make any kind of decent monthly income with them. So it’s a catch 22 really, as a new blogger you will be making pennies with them so does it actually make sense to clutter your blog with ads that aren’t you money? I have Adsense on my main blog where I make a grand total of around $0.02 per day. Once you grow your pageviews to 25,000 per month and over, other ad networks will accept you but many of the ones I’m aware of rely on US advertisers which means you’ll need to show that the majority of your traffic is from the US. The plus side is that the payout is usually much better and you can actually make a couple thousand dollars per month with significant traffic. You can also place individual ads on your blog, whether you choose to approach companies on a one-on-one basis to advertise for them or you place banners from your affiliate networks. My blog traffic on this blog is still pretty small so I’ve chosen this route. You’ll see an ad for Elegant Themes and ConvertKit in the sidebar and one for Siteground in the footer. The last main source of income for bloggers is product creation. This is the one that will bring you big bucks before you hit major traffic IF you have built up a tribe that trusts you and will want to buy your products. A product can be physical or digital, though most bloggers usually rely on some type of digital product like an ebook or course or services like coaching/membership programs. The awesome thing about digital products is that once you create the product, you can keep selling it over and over as your traffic grows and you market to different audiences. Digital products are usually delivered automatically so by setting up your email sequences correctly, no matter where someone joins your email list they can be sent through your sales funnel making you money in your sleep. Most blogging income sources can be fitted into one of the above categories. Other methods are opportunities that can come because of your blog but aren’t necessarily ways that bloggers make money in general. 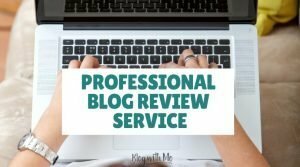 Things like freelance writing, photography, graphic design, VA services etc are all things that you can market via your blog, but I wouldn’t categorize them as a method that you use to make money on your blog. These are different gigs entirely that you simply use your blog to market. If you’re a new blogger my recommendation is to focus first on creating stellar content that people engage with and share. Once you’ve built up a catalogue of very useful content, focus on marketing this content fiercely while always creating more. They say the ratio of content to marketing is 20%-80%. So start with a solid base and then add 1-2 posts to your blog per week, spending the rest of your time marketing your content. By marketing your content and building up your traffic, you’re also building your tribe and engagement numbers and are ready to tackle monetization methods. There’s no right time to start monetizing your blog, that’s up to you. If you’re going the ad/affiliate/brand network route, then the quality networks will have minimums that you need to meet before they will accept you into their program. You can start with other methods until you’ve reached their minimums. Now it’s your turn. What does your monetization mix look like? Which ones work more than others for you? Let me know in the comments below. Thank you for sharing these helpful tips, how bloggers make money. It is terrific there are different ways to monetize one’s blog, that you can do 1 or several of them. Great blog post!!! Great post ! very useful tips conveyed in a beautiful way Thanks for sharing ! As a relatively new blogger, I love when I come across posts like this! I’m in the process of converting my site into an ecommerce WP site, so your tips are super helpful to me! Thanks for sharing! I’ve been blogging for a little over a year now and happy to see I’m on the right track so far. I already sell my own art, products, have ads and just recently signed up for Amazon Affliate Marketing. Still building my community so it’s just a matter of continuing hard work and patience. Thanks for sharing these secrets! Thank you so much for taking the time and sharing your experience. 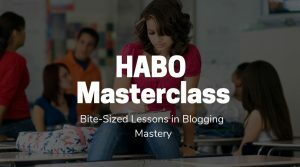 I have just started bloggging few months ago and I am constantly learning. Great post! Super helpful tips and it is so true that it’s important to find your tribe! Thanks for sharing this post, i will prefer to start with adsense when i host and try out Amazon products too. This your blog is very helpful. Thanks once again. Great tips, I’ve been wanting to get into affiliate marketing & partnering with brands as well. I’m just so shy, but I’ll have to break that soon lol. I’ve read many many articles on blogging but this is the first one I’ve read that made sense to me. Thank you for realizing that someone brand new to blogging doesn’t yet know the language of blogging so keeping it simple was very helpful. Love this – thank you for sharing! I need a kick in the pants to get my blog going down a monetizing path for sure! Thank you for the great tips Monique. I use affiliate marketing and I have been able to make 10 sales after four months in blogging. Thank you for the tips on Advertising, I am planning to try it out early September.